Product code: 1094 Categories: Sold Items, Sold Jewellery. 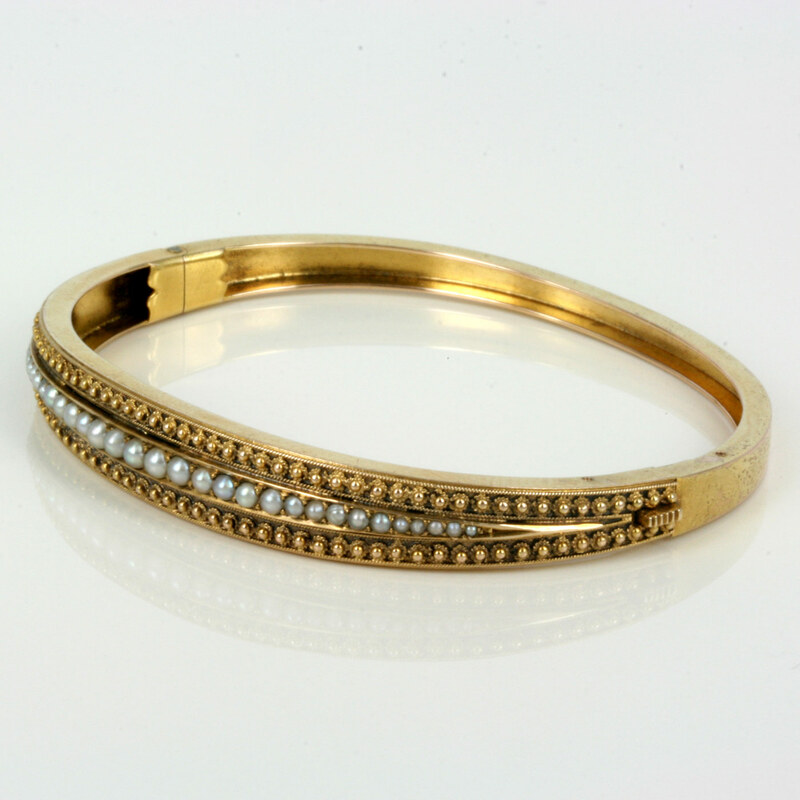 This hinged Victorian era antique bangle has so much attention to detail and is so beautiful. Made in 15ct rose gold seed pearl bangle, it is set with 34 natural seed pearls graduating in size from 1mm to 2.5mm and is done so elegantly. The pearls are set amongst the most fine and elegant detail that is captivating. 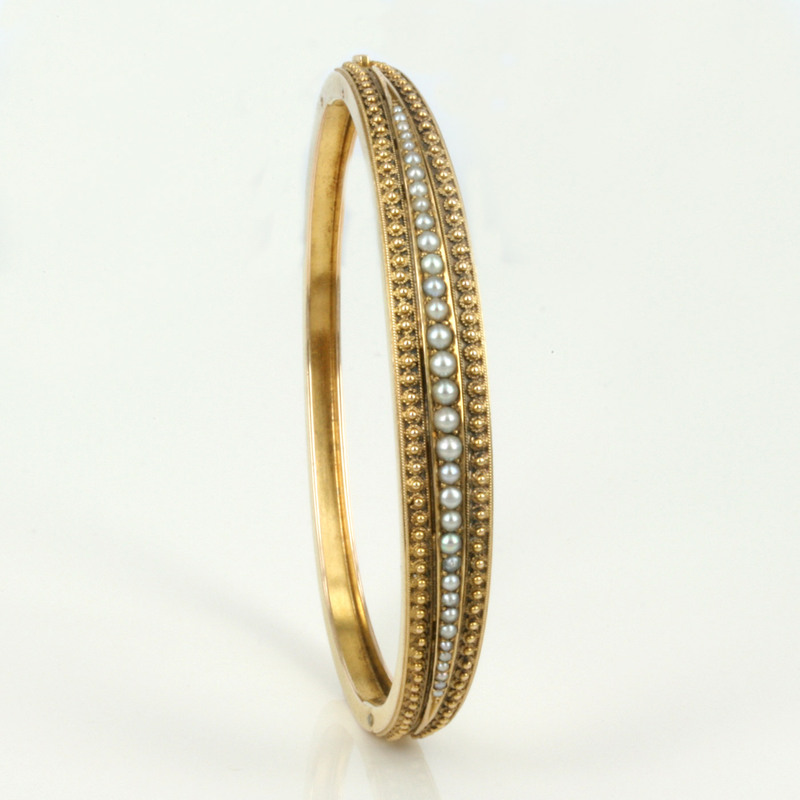 The bangle measures 5mm to 8.5mm wide and is still in perfect condition.